How Tournament-Proof Are the Nation’s Top Five Offenses? This year multiple coaches across the country have conceded publicly that a team’s offense is the biggest factor in its ability to maintain a defense. “Defense wins championships” may still be a treasured maxim, but the truth is that offense is the fuel in college basketball. The question then becomes one of how vulnerable the best offenses in college basketball are to a one-game slump? Since only a single bad night is all it takes to be sent home from the NCAA Tournament, it’s worth investigating the nation’s top five offenses to set some criteria for evaluating the rest of the field. Per KenPom, here are the top five offenses nationally based on adjusted offensive efficiency, along with their corresponding adjusted tempo. As the tempo column shows, teams can play at both warp speed (UCLA, North Carolina, Gonzaga) or at a relative crawl (Villanova) and still be extremely effective. That said, to the extent that the game slows somewhat in the NCAA Tournament, it is reasonable to suggest that some of these teams may face more trouble than others. The Bruins, Tar Heels and Bulldogs all use a healthy dose of tempo when they play. This is not to say that any of those three teams cannot also win a low-possession game, but their opponents would certainly be better-suited to impose a slowdown game on them to the extent possible. Villanova has already proven its favored pace can win championships. The next question then becomes which of the faster teams are most poised to handle a grind-it-out half-court game? Louisiana Tech’s promising season just came to a screeching halt. The Bulldogs were the Conference USA favorite and held legitimate hopes for an at-large berth to the NCAA Tournament prior to yesterday. Those goals might appear a bit lofty now after it the school announced on Wednesday that leading scorer Raheem Appleby will miss 6-8 weeks with a severe ankle sprain. The junior guard boasts some impressive numbers, averaging 16.1 points and 2.1 assists per game this season. Appleby hurt his ankle a week ago while driving to the basket during Louisiana Tech’s 84-64 victory against Florida Atlantic, and he missed all of the Bulldogs’ subsequent 85-51 victory on January 11 against Florida International. Now the best-case scenario for the 6’4″ guard appears to be a return for the Conference USA Tournament during the second week of March. This is a really tough blow for a Bulldogs squad aspiring for a long postseason run. Louisiana Tech still harbors at-large aspirations — even with a #98 RPI — thanks in large part to a resume-enhancing road win on December 30 at Oklahoma. That 102-98 overtime victory looks even more impressive now that the Sooners are ranked #25 in the RPI. 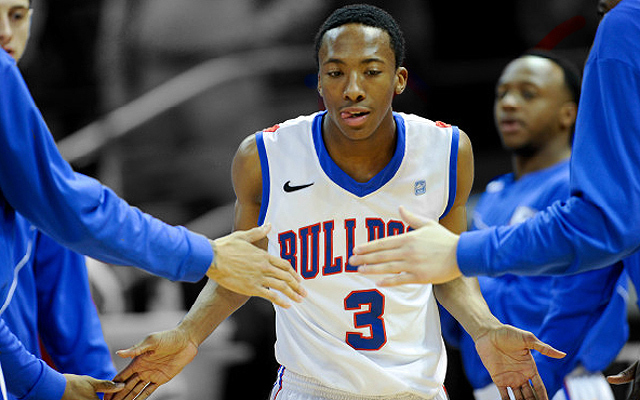 The Bulldogs also have another top 100 win against St. Bonaventure (#83 RPI). Louisiana Tech’s losses have come to national title contender Oklahoma State (#11 RPI) in Oklahoma City, at Saint Mary’s (#52 RPI) and Louisiana-Lafayette (#94 RPI). While that last loss doesn’t help, the Bulldogs still have an outside shot at an at-large bid. Should Louisiana Tech exit the C-USA gauntlet nearly unscathed — maybe a loss or two — with a subsequent defeat in the Conference USA Tournament championship, the Bulldogs then present an intriguing argument for a bid. The Atlantic 10 has had perhaps the busiest offseason of any major basketball conference, highlighted by the exciting additions of Butler and VCU to the league starting immediately next season. The A-10 all of a sudden has 16 teams competing in 2012-13, causing a dilemma in seeking a balanced 16-game conference schedule. But as has been the case all offseason, the league did a terrific job at solving the problem quickly and effectively. On Tuesday the conference released its new league schedule for next season, one that includes all teams playing each other once, and each member taking on a rival opponent twice. Most notable about the set schedule is how difficult a draw was given to darling newcomer Butler. The Bulldogs are in for a much tougher slate than they faced the past several years en route to finishing third or better in the Horizon League for the past seven seasons. Brad Stevens’ team was already facing increased competition by upgrading from the Horizon to the Atlantic 10, but things are made that much harder by the draw they earned next year. To start, Butler’s chosen ‘rival’ is Saint Louis, a league favorite next season that returns four starters from a round-of-32 NCAA Tournament team. The Bulldogs also drew fellow newcomer VCU on the road where the Rams lost just once last season and return a number of key contributors. In addition, Butler plays on the road at Dayton, Massachusetts, and St. Joseph’s, the latter two of which are up-and-coming contenders for next season. The Flyers finished tied for fifth in the league last year and bring back some strong players, as well. Finally, although the Bulldogs drew Xavier at home, they still have to play the Musketeers a second time during the season as part of a previously scheduled ‘non-conference’ game – and it’s in Cincinnati. In recent years, the Atlantic 10 Conference has established itself as perhaps the strongest non-BCS league in college basketball. It’s not part of the power six, yet the A-10 is too good to put in the “mid-major” category. The conference sent four teams to the 2012 NCAA Tournament, and three teams to the Big Dance in each of the four years prior. With Tuesday’s news that Butler is heading to the Atlantic 10 for all sports beginning in the 2013-14 season, there’s reason to believe that the A-10 should remain one of the stronger college basketball leagues in the nation. Butler is a great replacement for Temple (departing in 2013), and the move also makes plenty of sense for the Bulldogs. 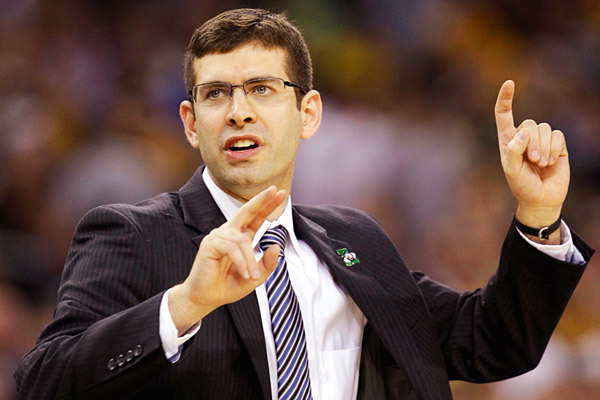 After tremendous success in the Horizon League and historic prominence as a mid-major in back-to-back national title games in 2010 and 2011, it’s time for Brad Stevens and Butler to challenge itself in a stronger league. Butler’s feat of back-to-back title game appearances will certainly hold as one of the biggest college basketball stories of this decade, but coach Stevens doesn’t want his legacy to be defined by those two seasons. Stevens could have had nearly any job opening he wanted after leading Butler to an 89-15 record in his first three seasons, but the coach was content with the ‘Butler Way,’ signing a long extension that will keep him in Indy through the 2021-22 season. Despite the team’s nationally recognized success, it’s still not easy to draw top recruits to play in the Horizon League. Butler could not pass up on this opportunity to join the stable and competitive A-10 starting in the fall of 2013, when the Bulldogs will ratchet up their schedule strength by taking on the likes of Xavier, Massachusetts, Saint Louis, St. Bonaventure, La Salle, and St. Joseph’s in conference play. Already armed with one of the top names in coaching and a talented young roster, Butler now has the benefit of added exposure and competition to offer to potential recruits.